At Duluth Stove and Fireplace our mission is to serve as industry experts for our customers, competitors, and community by providing products and services that offer warmth through innovation. Stop by our showroom today and experience all of our products, from fireplaces to grills! Relax in the steam of a Finnleo sauna from Duluth Stove & Fireplace. From custom built rooms to heaters and accessories, we've got all of your sauna needs covered. Stay warm and cozy during those cool nights with a brand new wood or gas fireplace from Duluth Stove and Fireplace. We have a variety of wood, pellet, and electric fireplaces, stoves, inserts, and offer high efficiency units to fit any budget. Don't miss out on special savings! Click here to access to all the hot deals and promotions going on now! Duluth Stove and Fireplace features a wide variety of products and manufacturers that provide cozy solutions in home heating and comfort. 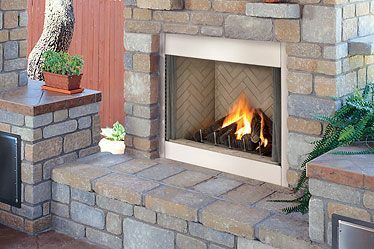 Our catalog includes gas and wood fireplaces, wood stoves, gas stoves, and wood and gas inserts. We also offer chimney systems, sauna systems, stonework, accessories, and more. With over 20 years of experience, we are dedicated to helping our customers find the right solutions based on their needs. Our professional staff is happy to provide friendly and knowledgeable service and will strive to exceed your expectations every time you work with us. Whether you are looking in for a wood fireplace for your living room, a gas insert for your existing chimney, or a state of the art sauna, we’ve got you covered! When you deal with Duluth Stove and Fireplace, you’ll get quality products and installation service that can’t be beat. Contact us today and let’s get started! ©2019 Duluth Stove and Fireplace, all rights reserved.